Jesus Worldwide Music is the worship collective from the Jesus Worldwide church family in the greater Orange County, California area. Jesus Worldwide started as a group of friends evangelizing every day, then gathering in homes in the evening for fellowship, worship, and simply being in the presence of Jesus together. From there a vision for a missions organization & church was birthed. Today, we meet in a chapel in La Mirada, CA and maintain missional lives dedicated to transforming the world. Simply put, we're a church of missionaries. The songs that have come out of our Jesus-lovin' community have become the heartbeat of our family and have helped empower us to walk as Jesus walked, loving the world around us. Since 2011 we've dreamt of recording an album to share these songs. 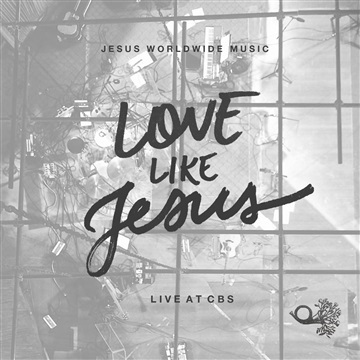 "Live at CBS" is our very first worship album and it consists of ten original songs written by David Carpenter, James Cheo, and Valerie Carpenter and was recorded at CBS Studios in Studio City, CA. It's 100%, completely free. It's our gift to you and it can be your gift to others, SO please share it! Post it on your social media accounts, message your friends this NoiseTrade link, and let all your friends know! There is an option to "Tip" the artist. All tips will go directly towards more music from us and our ministry.